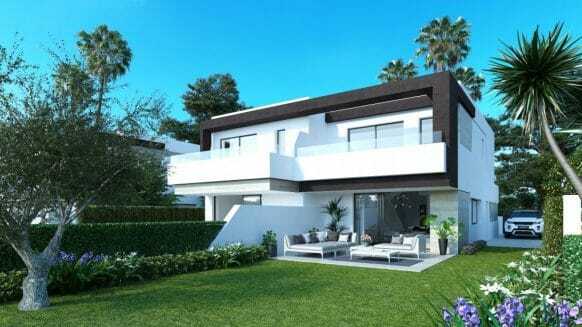 Oasis 22 Estepona is a unique development of exclusive 4 bedroom semi-detached homes located in the New Golden Mile, close to La Resina Golf Club. 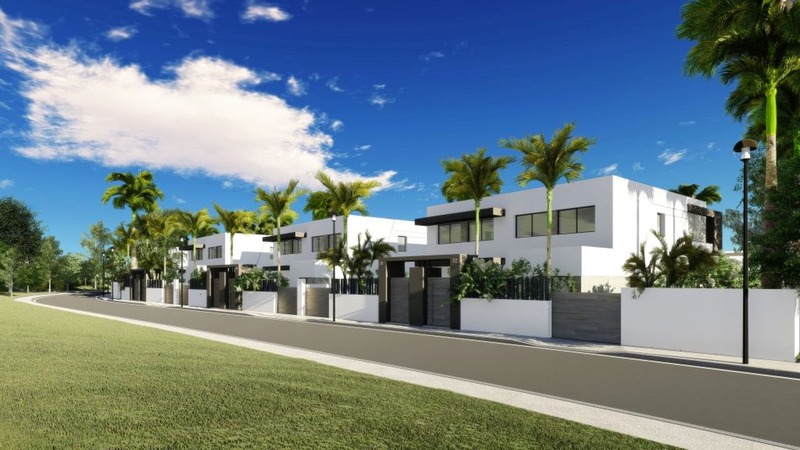 We can classify these homes as one of the best value for money on the New Golden Mile! 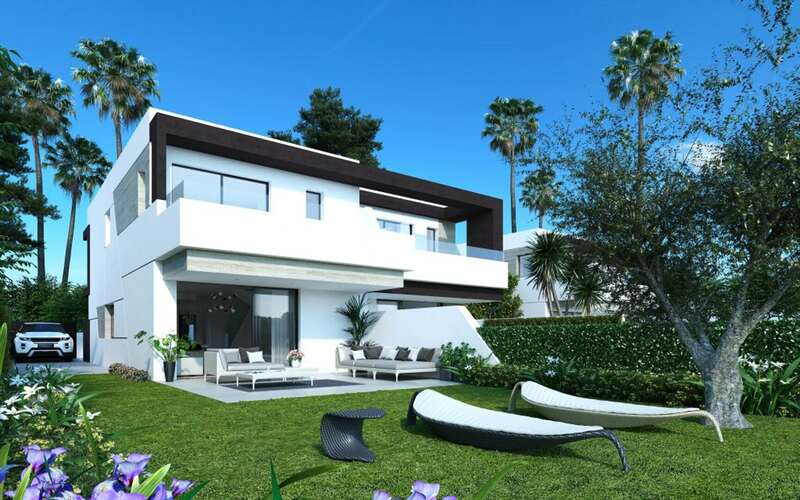 Luxury properties offering well-distributed interior spaces, an open plan kitchen, a generous living and dining area. 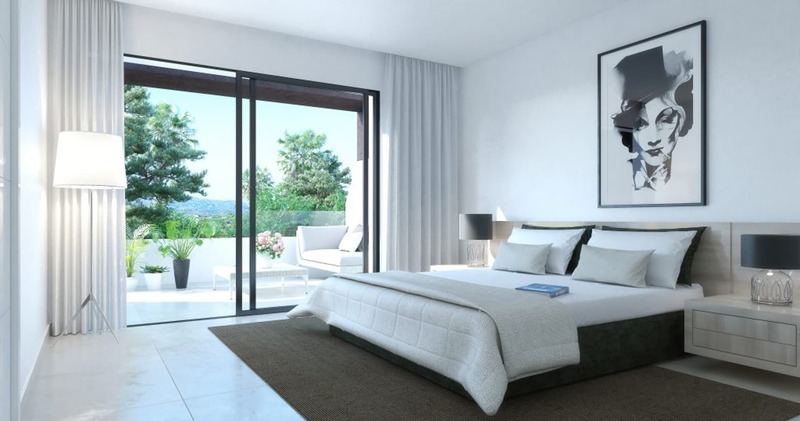 Bedrooms are spacious with fitted wardrobes and bathrooms en-suite. 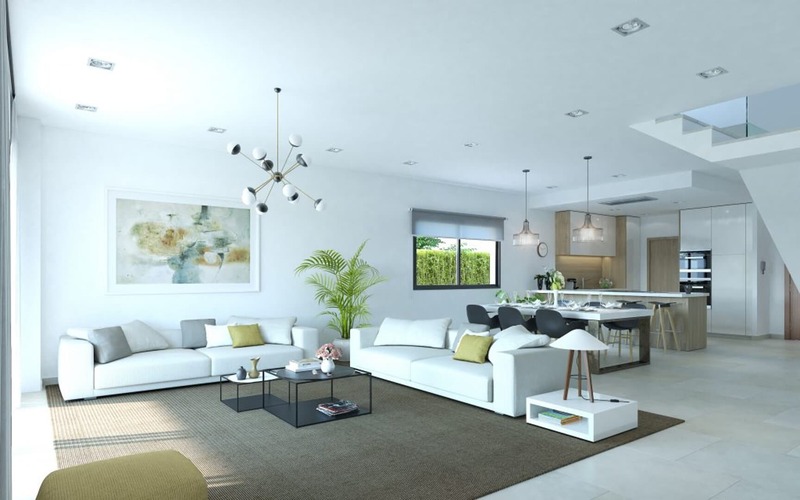 Homes that are both modern and elegant in design taking full advantage of the natural light. 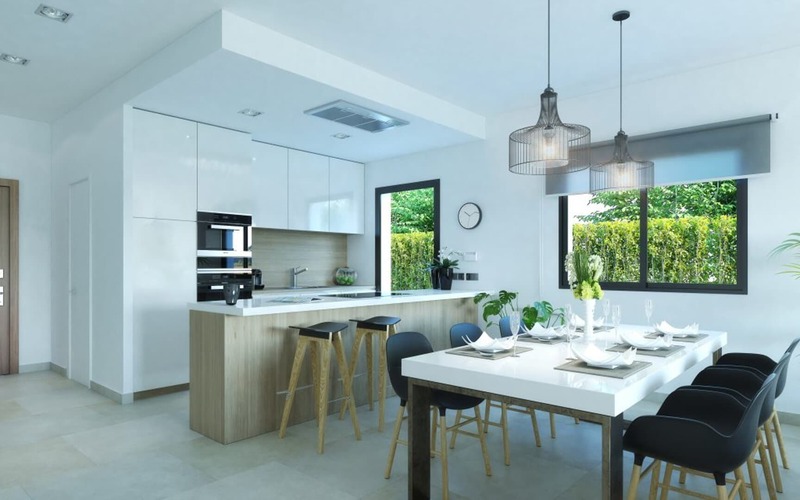 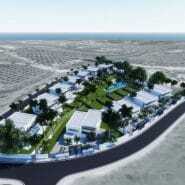 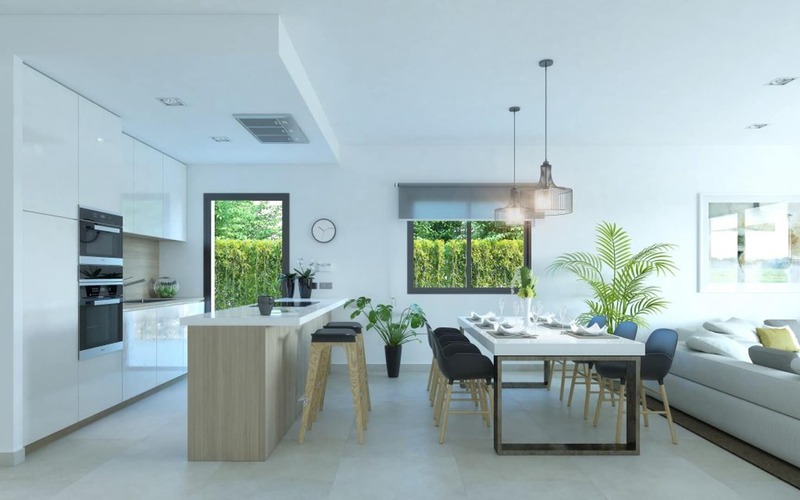 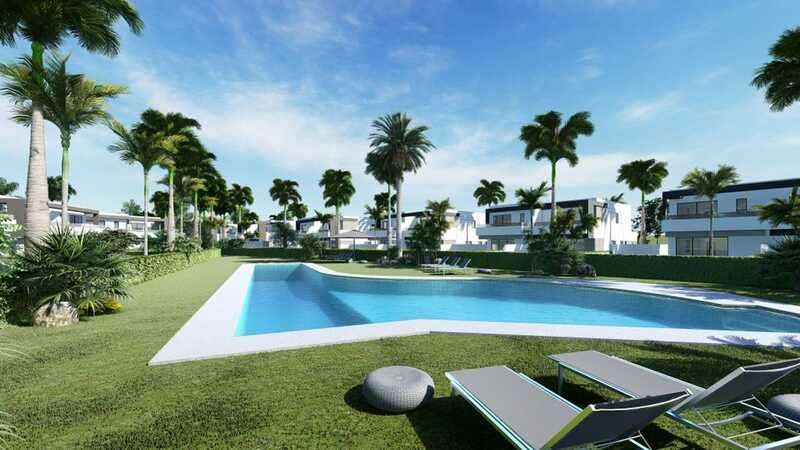 Each home has a private plot of minimum 270 sqm up to 446 sqm, connected to the communal gardens and pool area. 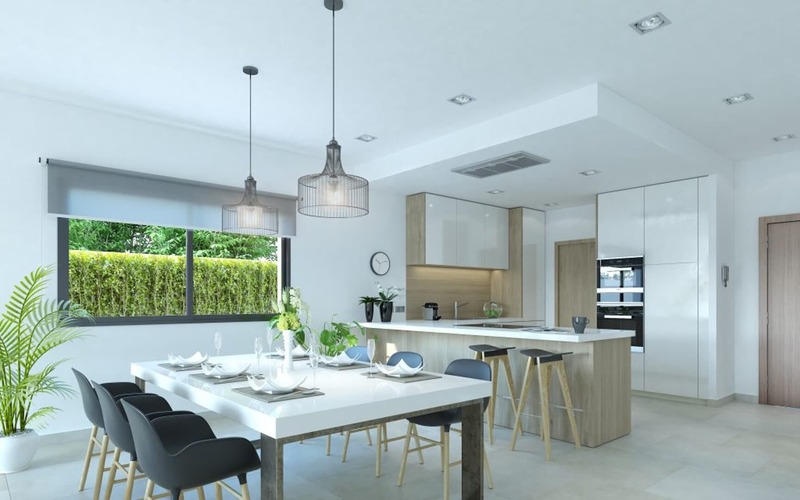 Finished to a very high standard, porcelain big format flooring, air condition with independent control in all the rooms, Neff appliances and private parking place for 2 cars. 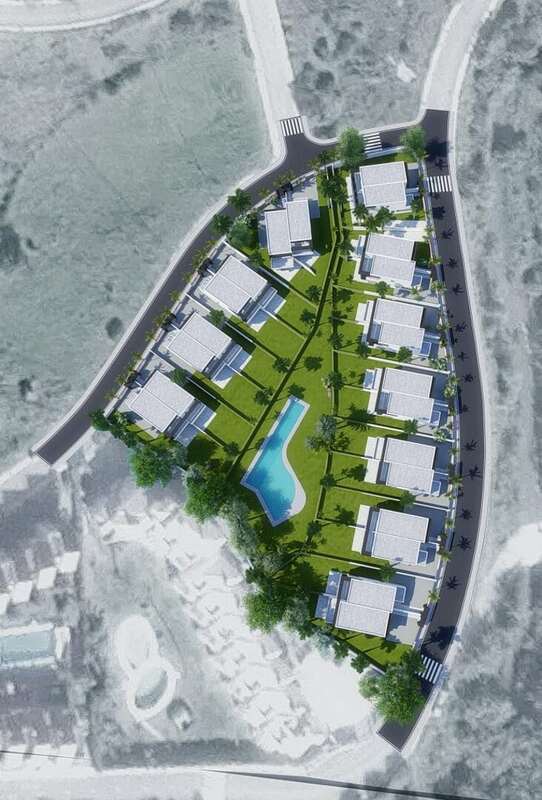 Basements of 73 sqm are optional. 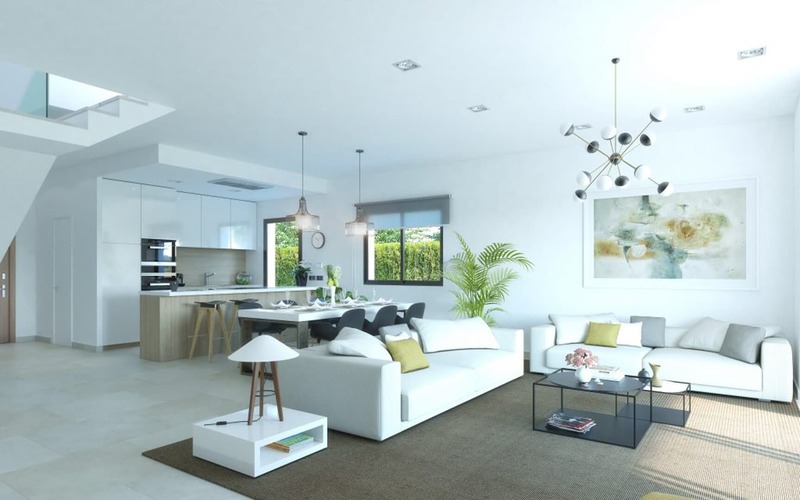 This new project Oasis 22 by Marein, allows the owner to personalize the space to create the perfect living environment. 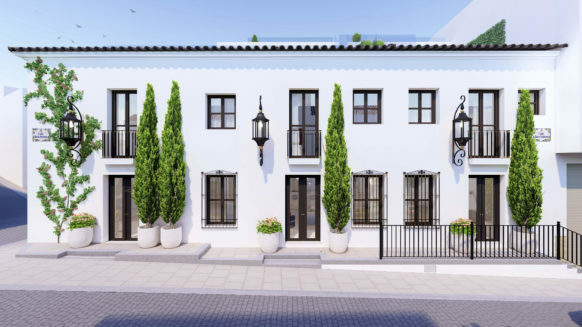 Delivery is scheduled for mid-2020. 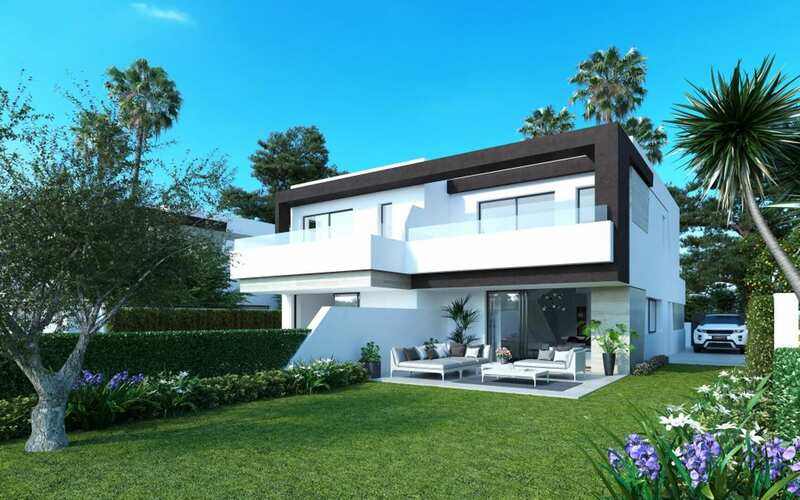 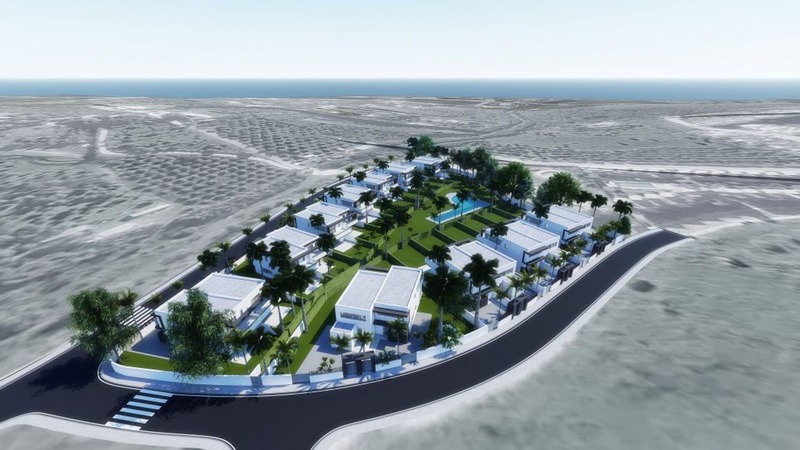 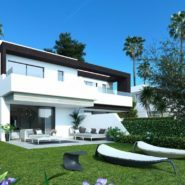 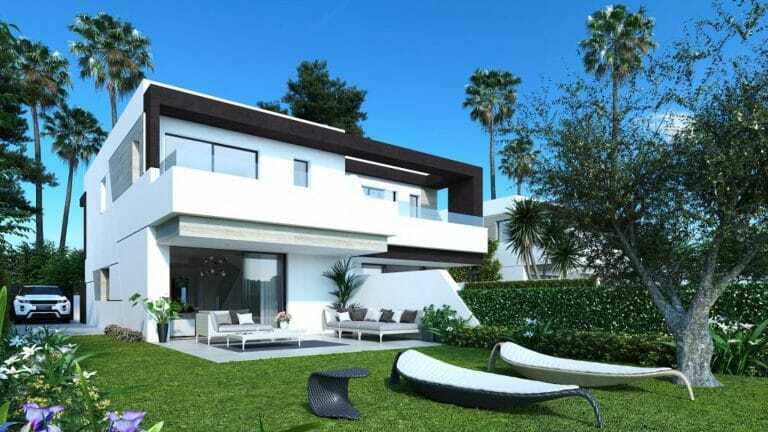 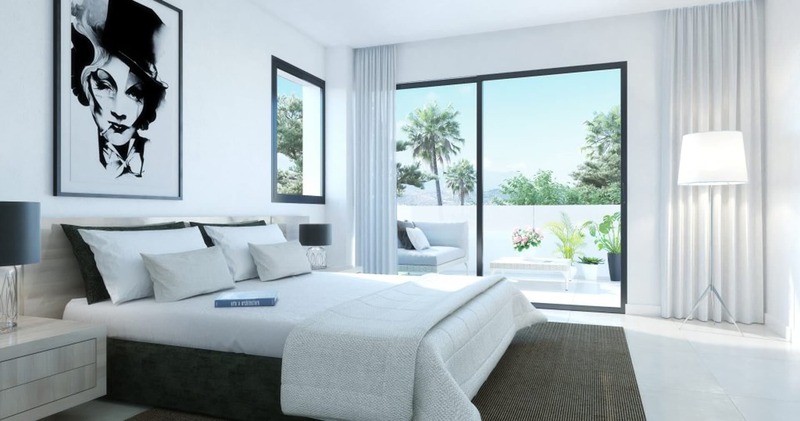 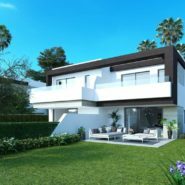 Only 5 minutes from Estepona, 5 more to Puerto Banus and Marbella, Oasis 22 a is surrounded by some of the best golf courses on the Costa del Sol such as Atalaya, Los Flamingos, El Paraíso and La Resina Golf at your doorstep. 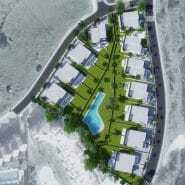 Affordably priced and ideal for investment. 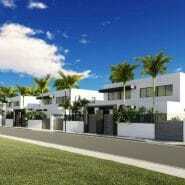 Contact us to arrange a visit to the building site, view floor plans and technical specs.